Many people have heard about the SEC whistleblower program. They may know that the Securities and Exchange Commission (“SEC”) gives out awards to whistleblowers who provide it with information about corporate and securities frauds. 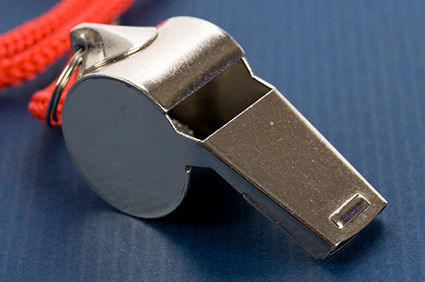 But what exactly is the SEC whistleblower program, and how does it work? In September 2008, Lehman Brothers collapsed. In the months and years following Lehman Brothers, hundreds of other banks and financial institutions failed, or had to be bought out by or merge with other institutions. Others, including some of the largest financial institutions in the world, had to be bailed out by the U.S. government using taxpayer money. Just a few of the notable names that failed, were bought out or merged, or had to be bailed out by the government included: Merrill Lynch, Bank of America, Bear Stearns, Washington Mutual, Wachovia, AIG, Fannie May, and Freddie Mac. In December 2008, Bernard Madoff surrendered to authorities and admitted to conducting the largest ponzi scheme in history. Prosecutors estimated the amount of Madoff’s fraud to be over $60 billion. In February 2009, the SEC and DOJ charged Allen Stanford with running a $7 billion ponzi scheme, which would have dominated headlines had it not been for Madoff’s even more massive fraud. All kinds of toxic asset backed securities, auction rate securities, exotic derivatives, and many other kinds of failed investments came to light. Public investors lost billions of dollars in assets. The number of people and families forced out of their homes, or foreclosed upon, in the subprime mortgage scandals reached epidemic proportions. This time period has come to be known as “The Great Recession”. It was the second greatest economic collapse in U.S. history, after the Great Depression of the 1920s. The Great Recession was eerily reminiscent of the Great Depression that followed the October 29, 1929 stock market crash. In response to the Great Depression, Congress passed the Securities Act of 1933 (the “’33 Act”), and the Securities Exchange Act of 1934 (the “’34 Act”). Among other things, the ’33 Act required publicly traded companies to register their stock sales and to make certain required disclosures. The ’34 Act created the SEC. However, the Great Recession revealed that, since 1934, there has been an explosive growth in the stock markets, the amount of money in the stock markets, the number of participants in the stock markets, and the kinds of products available in the stock markets. Along with this explosive growth came not only all kinds of new risks, but also all kinds of new frauds and complicated variations on old frauds. For the first time ever, Congress gave the SEC a comprehensive whistleblower program. In creating the SEC whistleblower program, Congress intended to incentivize employees of public companies, investment banks, broker dealers, and others to come forward on their own and give the SEC information they have about corporate and securities frauds. Since then, SEC officials have repeatedly referred to the SEC whistleblower program as a “game changer” that has had a “transformative effect” on the SEC’s enforcement of the securities laws. … then the SEC must give the SEC whistleblower(s) a monetary award. By statute, the amount of that award must be between 10% – 30% of the amount of money that the SEC collects from the wrongdoers. However, there are a lot of Rules that an SEC whistleblower must follow to be eligible to receive an award. There are also a lot of Rules that can disqualify someone from receiving any award. If you would like to read more about some of those Rules, please click here and here. Officials’ Comments about the SEC whistleblower program.